Over the last couple of months I’ve been double laptoping it. I’ve had a Lenovo Carbon X1 with Windows 8 and Ubuntu dual boot configuration with 8GB RAM, 256GB SSD and i7 and I had a Mac Book Air (MBA) 8GB, 512GB SSD and i7 Proc. The MBA was my primary work machine with the Lenovo being a secondary machine that I was using to test and build Windows 8 Applications and for building native Linux services and related code work. Simply, Windows 8 is one of the most broken operating systems I’ve used since Windows ME. Forget Vista, I consider it officially dethroned. Let me clarify what is and isn’t horrible about Windows 8 though. It isn’t that it technically is a bad operating system, it’s that the idea and approach that Microsoft has taken is inherently flawed at several key points. First, having a desktop on a tablet, which is almost impossible except for all but the finest of finger pointing tablet users, is blindingly stupid. Just go into any place where there is a Windows 8 tablet user and watch them whacking away when they get into the desktop. The Windows 8 desktop on a tablet is patently absurd for the vast majority of potential Windows 8 users. However, the straight Metro Interface of Windows 8 (which Microsoft now calls the Windows 8 interface because of legal reasons) is magnificent for tablet usage. There are a few major things that need fixed: responsiveness related to connection state, update status and the availability of high quality applications. Once those things are fixed Windows 8 will be as competent as iOS or Android in the usability department. Until then, it’s a nice dream, with a small number of usable apps with a huge potential. Now the desktop is the tried and true classic desktop of Windows. Thus, when you’re on a desktop machine or a laptop with a dedicated pointing device or touch screen the back and forth is fine. Matter of fact it is great! I find myself using the touch screen regularly to do a number of tasks, and hope to see its use increase more and more on a number of platforms (yo Apple, got game on this yet or not, OS-X can definitely use a touch interface). Overall though, Windows 8 – unless you solely do Windows 8 Development, is not a reason to buy a Lenovo X1 Carbon. Minus the touch screen, which Ubuntu has no clue what to do with except treat it like a pointer, this is how you see the real power and beauty of the Lenovo X1 Carbon. Ubuntu loads 2x faster and shuts down 2x faster than Windows 8. Comparable builds in IntelliJ, C, C++, Erlang and other compilers are regularly 1.2-3x faster than on Windows. The servers that one would build against, such as GlassFish (see this for my latest on setting up GlassFish & Java 7) are also routinely faster, more responsive and less prone to difficulty than in Windows. So overall, if you’re going to get a Linux machine, the Lenovo X1 Carbon is a prime choice. If not one of the best. If I understand correctly, there may even be some solid Linux software out there that would make the touch screen more usable too. So if you’re adventurous you may be able to solve that one single issue that I had with Linux running on the X1. Would I Give Up My Mac for the X1? This is easy, the answer is absurdly simple. However I did give up the Mac Book Air I had in parallel with the Lenovo for several months, as it belonged to Basho (which I’ve departed from). Matter of fact, even though I’ve used the laptop extensively with Ubuntu and Windows 8, I’ve just bought a new Mac Book Pro Retina 15″ to do all of my work with Ubuntu, Windows 8 and OS-X. The solidness of the MBP is untouchable compared to the X1. The screen is better, the keyboard is more consistent and easier to type on, the ghost tracking of the track pad is non-existent on the air, versus the X1 Carbon. In this case, I’d even turned off the trackpad entirely on the X1 Carbon. Simply, the X1 Carbon just doesn’t measure up to the Mac Book Pro. Other observations I’ve made about the two machines. The Mac Book Pro is far more solid, the construction is just not even comparable. The X1 feels solid but compared to the MBP it feels cheap and flimsy. 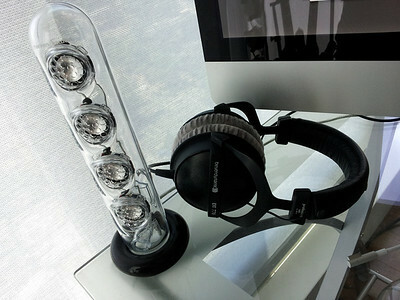 Considering the hardware works flawlessly with the software on the MBP is also no competition. The Carbon regularly needed driver updates, things would flake out and I’d have to restart. This would be prevalent in windows or linux, it didn’t matter. Fortunately a restart would fix it, but none of these issues exist on the MBP, using either OS-X or running a VM with Windows 8 or Ubuntu. Also, even though the MBP design is over a year old now, the i7, 16 GB RAM and 512 GB SSD makes the X1 Carbon seem like a morbidly out of date, slow and antiquated device even though it is actually a newer device! So, would I give up my mac for the X1? This entry was posted in A Bite o' Apple, Reviews and tagged i7, lenovo, lenovo carbon, lenovo x1 carbon, linux, mac book air, mac book pro, os-x, ubuntu, windows, windows 8, x1, x1 carbon on October 21, 2013 by Adron. I posted a blog entry about my efforts last week, which included a rather frustrating experience with a freshly loaded OS-X Mountain Lion install. I had installed XCode and eventually got the Command Line Tools installed, which I outlined in the entry. Things seemed to be working ok, and for the most part in doing other things all is good, but when trying to install middleman and by reference blockenspiel I ran into an issue getting the C compiler (or any of the compilers I tried) to build the native extensions that were included in this gem. Here’s what I installed and did to finally – FINALLY – get things running right. The first thing, since it kept coming up, was to get Homebrew installed. After that I installed Ruby 1.9.3p327. You can check the RVM and Ruby versions by using the -v switch. Also to verify what ruby versions you actually have installed with RVM you can use the list command. When I ran ‘rvm requirements’ the current readme doc that is displayed covers a lot of the problems I’ve noticed. It seems there is all sorts of stupid issues between the GCC Compiler and XCode and blagh blagh blagh somebody didn’t even check our stuff before we shipped. This actually goes into detail about what the issues could be if you too have run into this problem. And reopen your terminal windows. Right now Ruby requires gcc to compile, but Xcode 4.2 and later no longer ship with gcc. Instead they ship with llvm-gcc (to which gcc is a symlink) and clang, neither of which are supported for building Ruby. Xcode 4.1 was the last version to ship gcc, which was /usr/bin/gcc-4.2. - Ruby will build fine. - If you have gcc-4.2 (and friends) from an earlier Xcode version, Ruby will build fine. Xcode 4.2+ install or/and Command Line Tools for Xcode is required to provide make and other tools. If you don't use Homebrew, you can download and install osx-gcc-installer: https://github.com/kennethreitz/osx-gcc-installer. Warning: Installing osx-gcc-installer on top of a recent Xcode is known to cause problems, so you must uninstall Xcode before installing osx-gcc-installer. 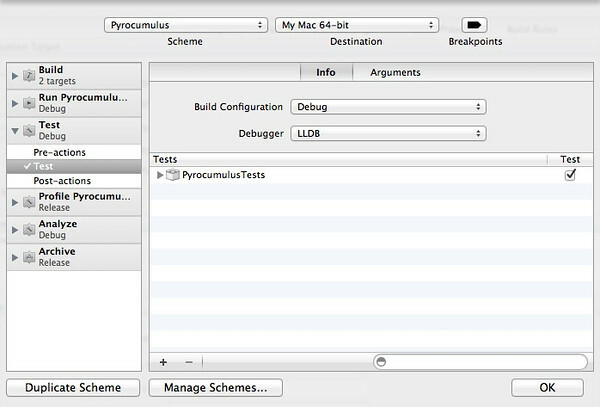 Afterwards you may install Xcode 4.2+ or Command Line Tools for Xcode if you desire. 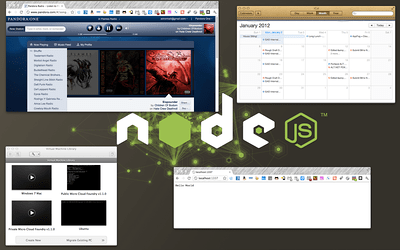 ** NOTE: Currently, Node.js is having issues building with osx-gcc-installer. The only fix is to install Xcode over osx-gcc-installer. If you need to uninstall XCode you’ll have to follow the directions for each specific version you may have. However for 4.5.2 the steps are as follows. I wrapped up the current changes and those listed above as follows to see if I could get a good build. Until next time, good luck with your install. This entry was posted in A Bite o' Apple, How-to and tagged apple, c compiler, compiler, error, exception, gcc, gcc 4.2, mountain lion, nodejs, os-x, os-x mountain lion, ruby native extensions, upgrade on December 14, 2012 by Adron. First off, here’s a tour of my physical space where I do the bulk of my coding when I’m not travelling. The second bit, a good many months ago I published my developer tools list, which is still available in my blog entry “My Current Windows Developer Machine“. That entry however is very outdated. I’ve since dropped the Windows OS as my primary developer platform operating system for a deluge of reasons. 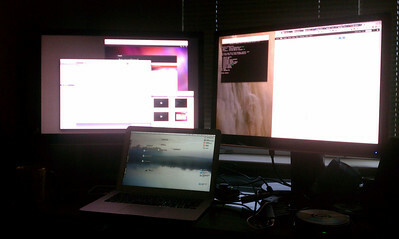 In it’s place is OS-X, Ubuntu, and VMs for Windows and other operating systems. Even though I’ve changed my OS of choice, and boy has life been much simpler ever since, I still do a ton of .NET & C# Development. My toolset however has been minimized for Windows. It now includes the following. Yup, my Windows machine is now THAT simplified. Dev on it is just as easy or easier before. With an SSD drive in my MacBook Air and the iMac I have w/ 16GB of RAM, it’s easy to have the VM perform BETTER than a natively installed version of Windows 7. I know it is hard to believe, but it is true. But I digress, I won’t try to sell you on that. Give it a try, research it, you’ll need to know for sure yourself to make that leap. 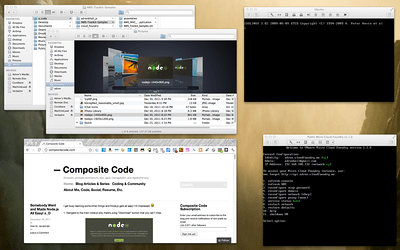 My main development OS these days however is OS-X, and here’s my stack of tools for it. Gems so I can get any of those shiny bits I need. For office things, I sometimes use Microsoft Office, but generally Google Docs works just fine. For video editing and creation, such as the video above I use ScreenFlow. Again, something you can easily get via the App Store. …and that about wraps it up. Enjoy. If you have any suggestions, thoughts, or rants, please let me know in the comments! Cheers! This entry was posted in .NET Bits, A Bite o' Apple, Apple Programming, Coding Adventures, Reviews, Ruby on Rails Bits, Video on June 21, 2012 by Adron. 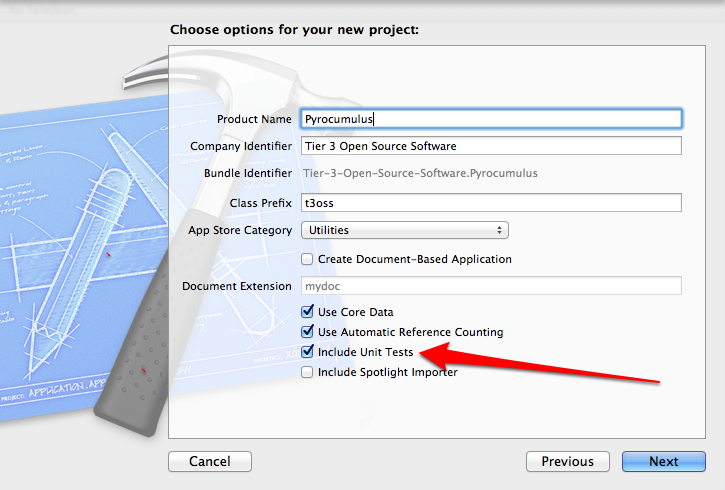 When starting an Xcode Cocoa Project you should have a testing project that you include. It’s a simple check box on the project creation dialogs. Keep This Checked! Write Tests! If for some reason you inherit a project that doesn’t have unit tests, tests, or anything of the sort and need to add a testing project follow these steps. With the project open add a new target as shown below. 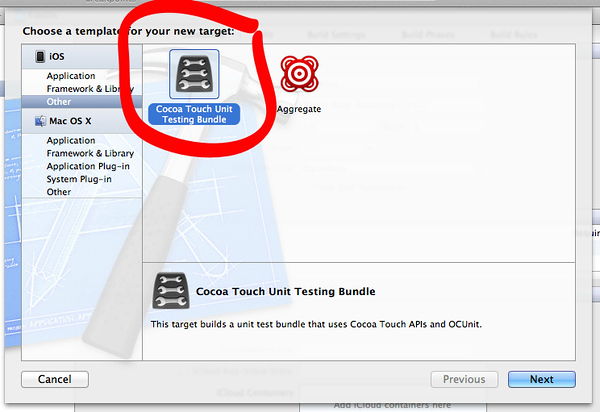 Add a Cocoa Unit Testing Bundle. Set the appropriate parameters for your project. Be sure to select the project from the drop down. Once finished adding the testing target, edit the schema. The project will have an additional schema. I personally like to keep them rolled together, so delete the “*Tests” schema and just make sure that the Tests section has the right target listed. 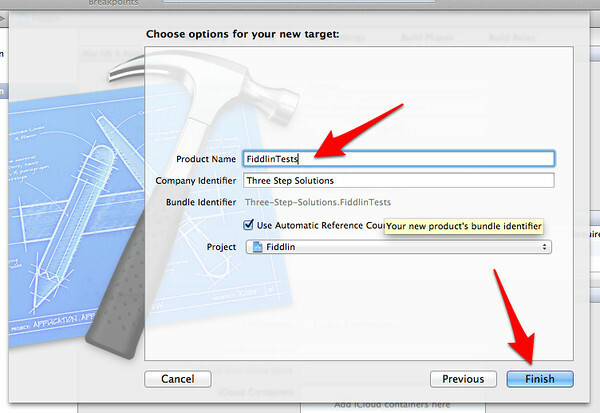 If it isn’t listed, as shown in the above dialog, click the + to add the tests project. 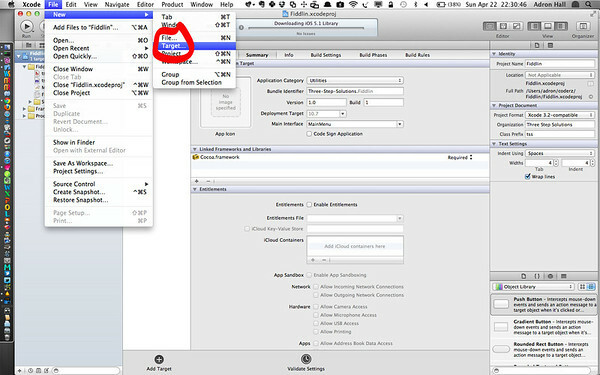 Select it in the target dialog as shown below. Once all that is done then the tests can be executed from the Product -> Test menu option or the shortcut key combo of ⌘U. With the default code that is added to the target project, you’ll end up with one failing test. 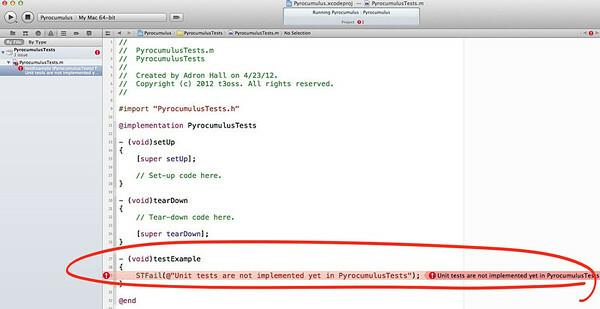 This entry was posted in A Bite o' Apple, Apple Programming, How-to and tagged cocoa, objective-c, unit test, unit testing, unit tests, xcode on April 27, 2012 by Adron. The Macbook Air is indeed an “insanely great” device. I have slammed this thing around, physically and virtually, from the bicycle messenger bag situation described in my buying decision post, all the way to running multiple virtual machines and multiple monitors! This machine, of course if you’re using lean, clean, powerful, and intelligent built software, is top of the game for light weight machines. The “how did you get multiple monitors?” question has come up several times since I bought the Air. So I’ve put together this blog entry on multiple monitor support, with instructions, and what can expect to run once the monitors are hooked up. The first things you’ll need to get up and running are the appropriate gear. 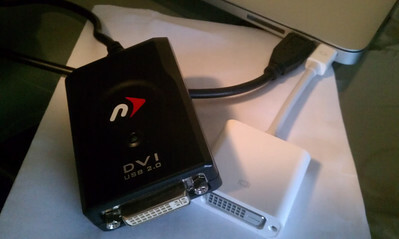 I purchased a Newer Technology USB to VDI, HDMI, and VGA Adapter. 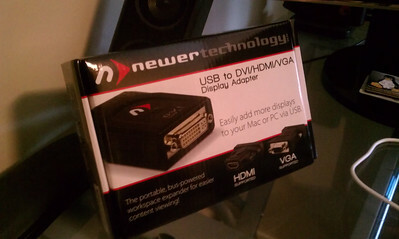 This adapter comes with an adapter to connect to the adapter for HDMI and VGA in addition to the already built in DVI connection on the device. Once you receive the adapter unpack it and get it installed. The driver will probably need retrieved from the company’s site, I wouldn’t use the included CD as the driver is a little dated. The latest OS-X driver supports Lion & all the other versions. The other thing you’ll need is an appropriate Apple Adapter for the actual Thunderbolt Port as shown in the forefront of the image above. With all these parts you’re set for some wicked dual monitor or even three way monitor support. I wanted to point out a few more things before wrapping this up. A follow up question to how I have these setup is usually “isn’t their lag or slowness?” Well, here’s a short review of what I was running while writing up this review. Pandora providing some Children of Bodom to code to. 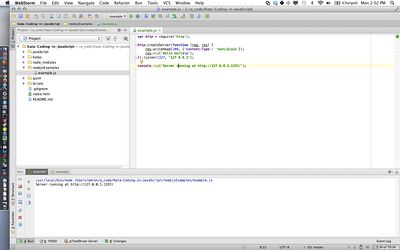 Chrome executing the Node.js example code. iCal displaying upcoming delivery dates and meetings via Google Calender Feed. The Macbook Air isn’t going to run Modern Combat 3 in two windows or anything crazy like that. It will however provide a powerful and capable system to code, develop, run virtual machines, web services, and other things that you would need to work with as a software developer. It may only have 4GB of RAM, but between the clean architecture, execution, and design of OS-X to use that i5 (or i7), the 4 GB of RAM, and extremely fast 256 GB SSD, this machine can handle its own. I now use two Mac Book Air Laptops. I have the original which I wrote this article using and a newer 10″ MBA with 8 GB RAM and related improvements. 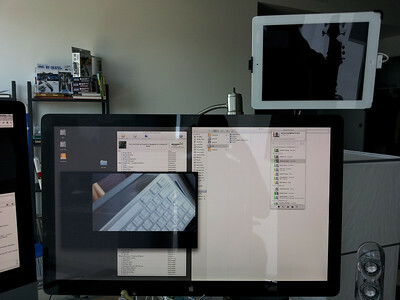 In addition to these laptops however I now use an iMac 27″ that is connected to my other 27″ Cinema Display. This is dramatically more performant and easier to use than trying to run two monitors on either of the MBAs that I have. In that light, I no longer use the connector nor know if it works with the latest Apple products. I’ve since given it to a friend who does however use it, and the friend tends to stay up to date with the latest Apple OS releases. Thus one could assume that the device works with the latest OS-X but you’d have to do your own research. Thanks for reading my blog, cheers! 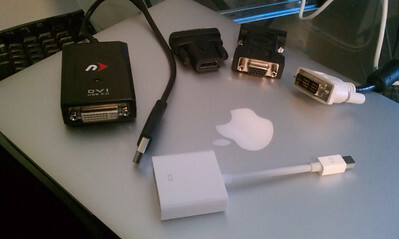 This entry was posted in A Bite o' Apple, How-to, Reviews and tagged dual monitors, laptop, mac, mac book, macbook, macbook air, multiple monitors, os-x, ultrabook, video adapter on January 2, 2012 by Adron.